Your PC suddenly became slower but there are no signs of virus infections. You suddenly see a device status report that shows this error message: Code 3 error: The Driver for this device might be corrupted or System may be low on memory. It’s obviously pointing to a problem with a driver or some other issue. It may be that your computer is running conflicting applications or your computer is overworked. You need to install new memory modules. At any rate,you can easily resolve the problem by doing the following. One of the things that can happen to your device driver is get corrupted by normal usage. It’s an easy enough issue if you know which driver is causing this problem. Just access Device Manager from the search box, uninstall the driver, then scan for new hardware changes. Reboot and check if you are still getting the error. Your computer may be running low in memory. If you are running multiple applications simultaneously, you’ll experience this error. 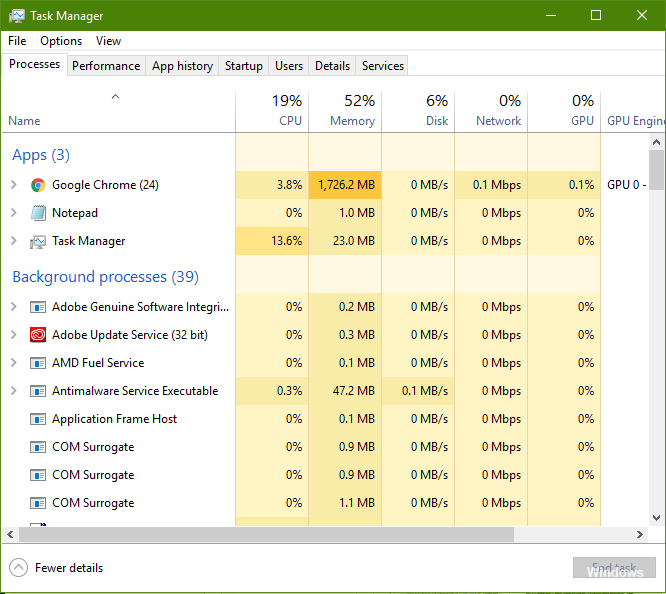 Open Task Manager to check which application is using up too much of the CPU. If there are unnecessary applications running in the background, close these applications to free up space. You may also want to modify your startup items. Disable the items which you do not need to run during startup. Make sure they do not come up the next time you reboot your computer. Another issue why this is happening is that your computer really needs some RAM upgrades. To make sure your computer does not encounter this kind of problem, check the System Information. Find out if you’ve installed the maximum value required for your RAM. If not, get the details of your RAM. Purchase modules that are identical to what are installed in your computer then install them. If you are still having this kind of error after doing these troubleshooting steps, then tell us more about what you are experiencing. Let’s find the solution together.